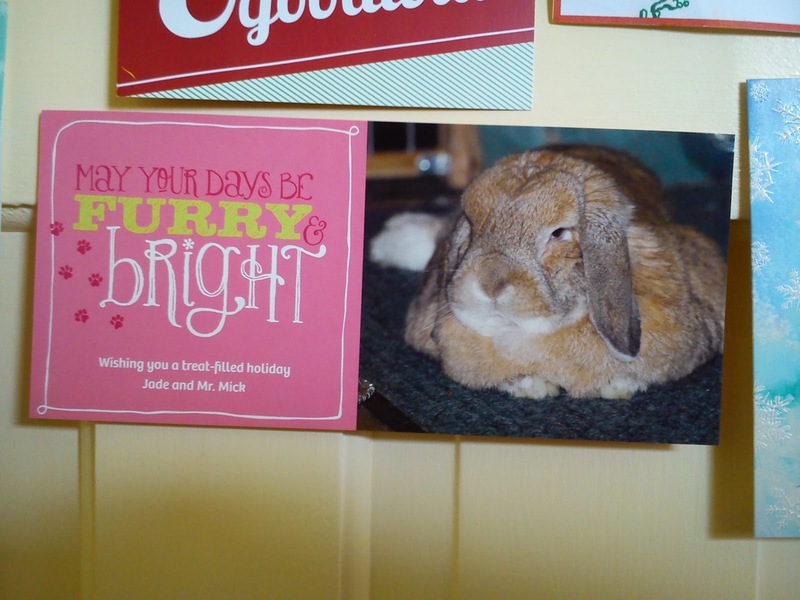 Speedy the cheeky house bunny: We got Mail! A Christmas Card and a Mr Mick wall calender,Thanks Mr Mick and Auntie Jade ,we love is and think its very cool!Came just in time and has pride of place in the kitchen! This is already starting out as a fun year! Look at that picture of you on your back; that is the most adorable photo of any rabbit! Wow! What a lovely Mr Mick wall calendar! How sweet Speedy. Have a tremendous Thursday. Aw your friend is so cute Speedy! 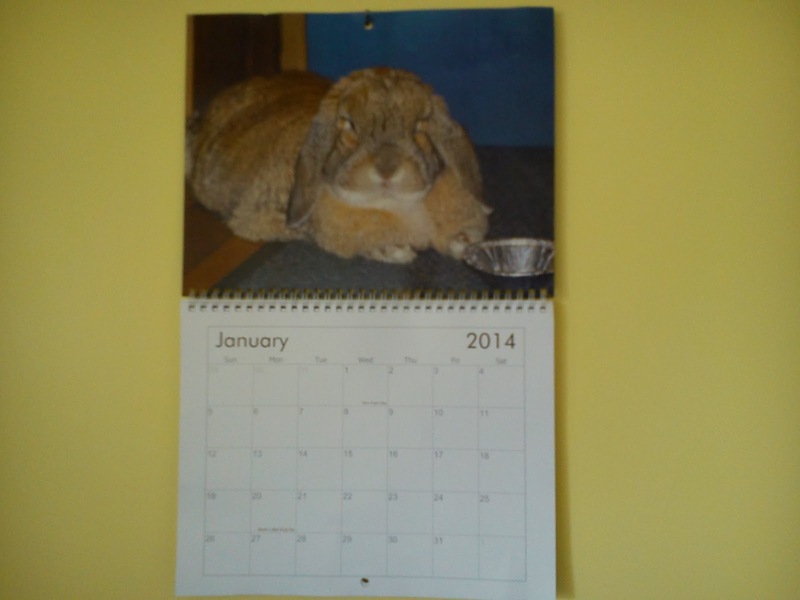 What a cute bun who makes a cute card & calendar! How nice to have a gift that lasts the whole year. that is the best mail ever! That Mr. Mick is a handsome bunny. As you are, Speedy! That is a lovely calendar! Hey, thats awesome, a special delivery on New Years and like the saying Furry an Bright! Oh! What a cute calendar!! We do luvs us the Mick! He is a trubble-maker too! Wow what a most handsome bunny Mr. Mick is! I got my Mr Mick wall calendar today, it's lovely isn't it! Have a new WONDERFUL year!!!! Speedy, since I posted my first comment today, I have nominated you for the “Blog of the Year 2013 Award”!